Summer and autumn on the dish together. Recently I don’t go to Tsukiji for breakfast much because the number of my going out for dinner is increasing and I can’t get up so early. 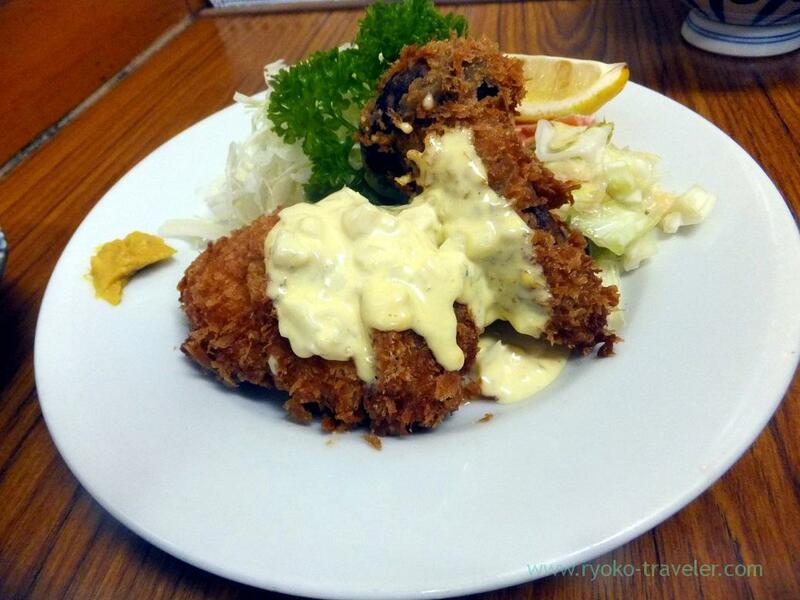 But I had wanted to eat vinegared horse mackerel and deep fried foods. Light-hand neighbor is Sushidai and it had lots of people waiting in front of the eatery and street. Yachiyo had lots of guests in the eatery. Foursome said “Four roast pork fillet and two eggs set !” as soon as foursome came into the eatery. It is really popular ! To my sorrow, ayu was already out of the menus because the Autumn has set in, but there was vinegared horse mackerel as “B set” on the menus ! 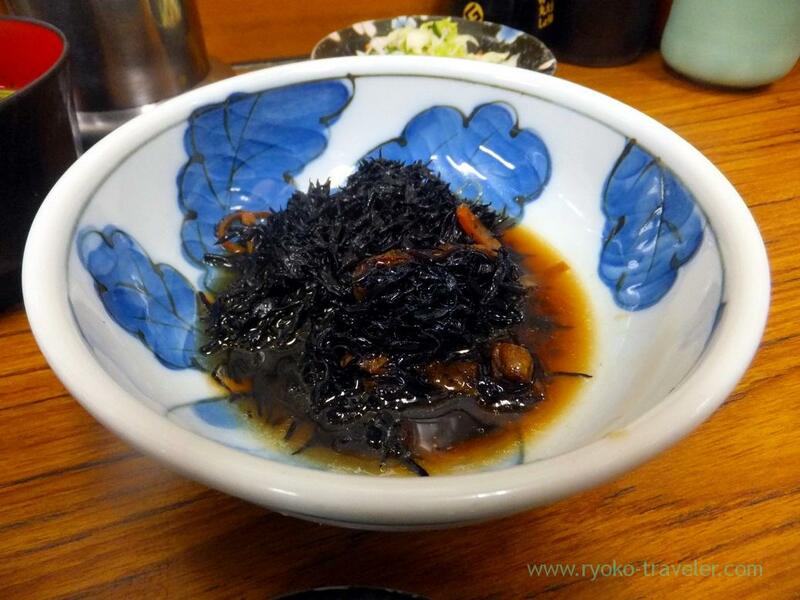 Boiled hijiki with soy sauce and sugar. It was well seasoned, but it was no longer fresh. Well, it is hard to pickle the fresh fishes as preserving its freshness. 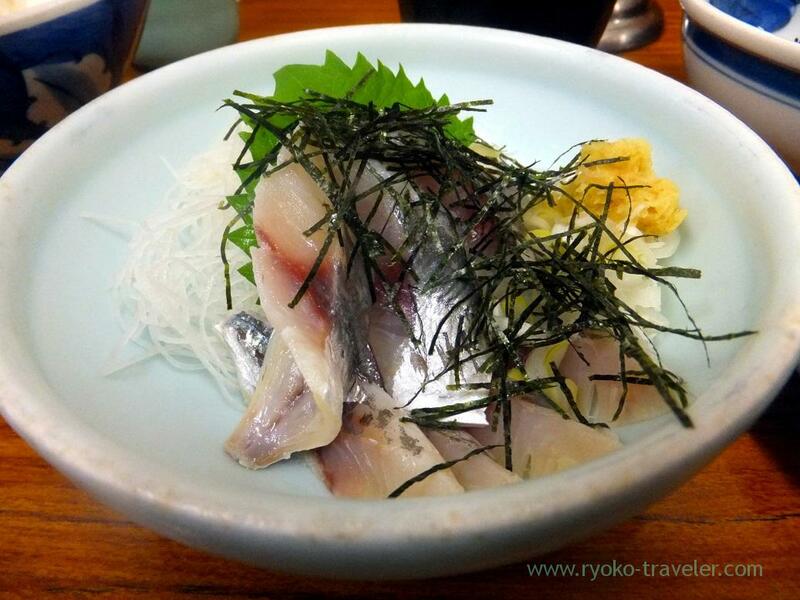 But lots of vinegared horse mackerel was good for my breakfast ! This picture is a set of Matsutake mushroom and conger eel(松茸と鱧のセット, 1300 yen) that my friend ordered. I hadn’t known there are such ways of eating Matsutake mushroom until I went to Tsukiji. 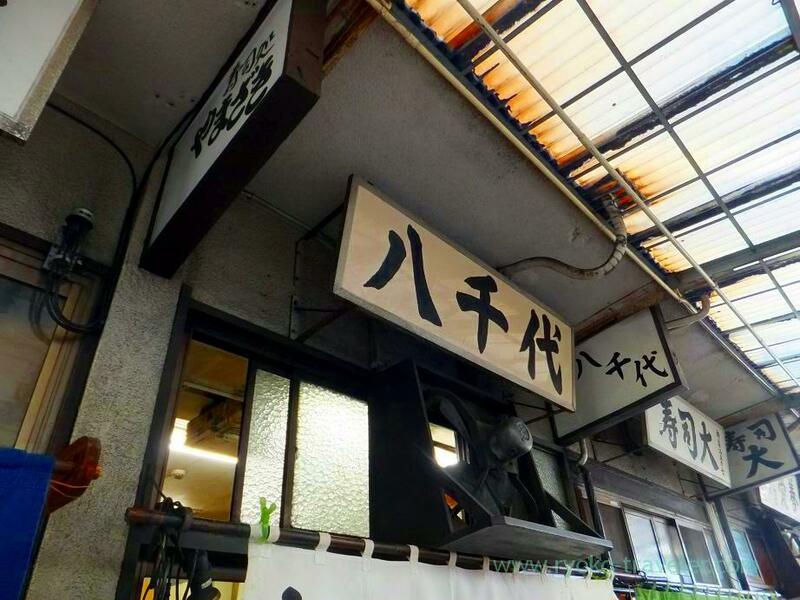 Yachiyo will stop serving conger eel when it gets cooler. 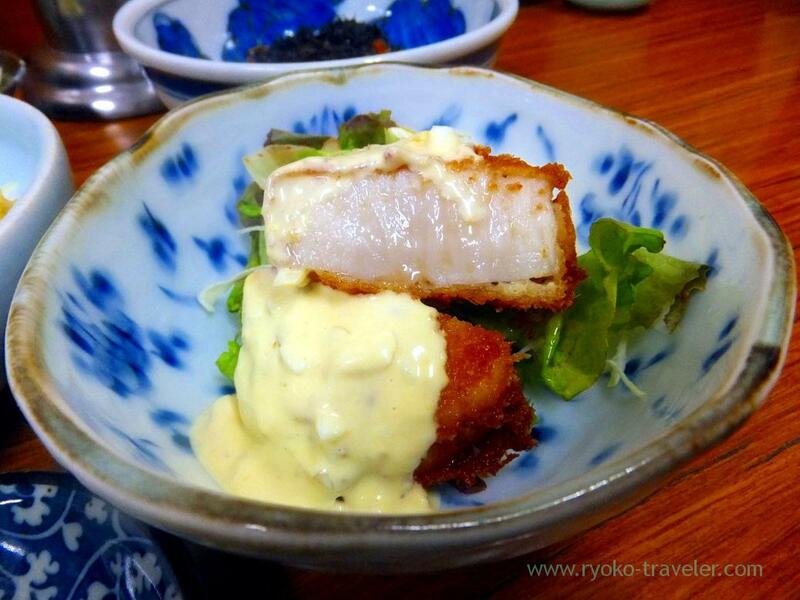 Conger eel and oyster alternate in being served in Yachiyo. 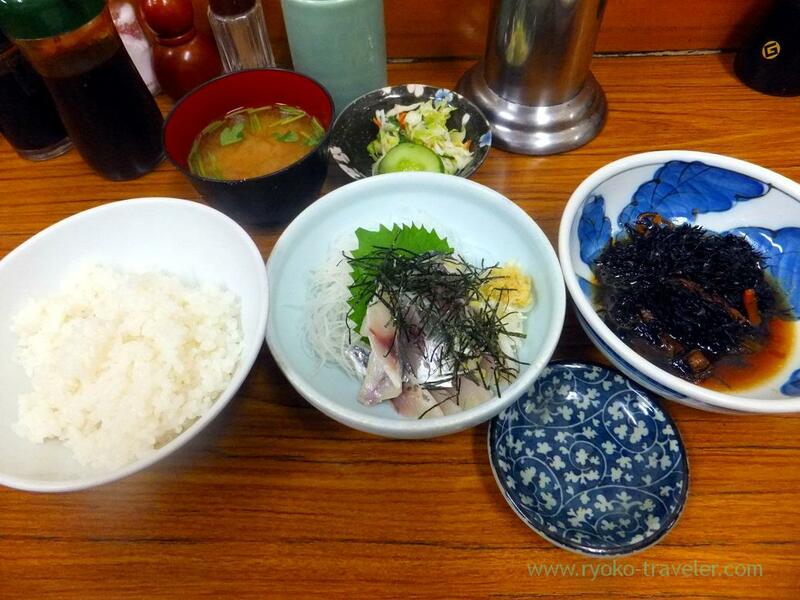 Conger eel is served during warm season and oyster is served during cold season. Oh, this scallop never broke my teeth 😛 My back tooth may already broke. I had already feelng that something was wrong with my teeth. But the scallop was so juicy and sweet. After finished eating at Yachiyo to my full, we decided to drink coffee at the kissaten in the market. 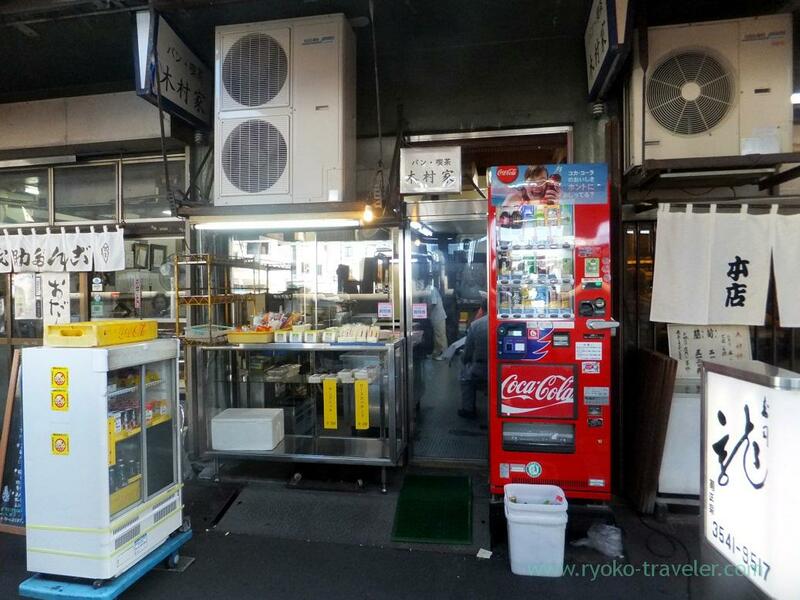 This was the second time to enter the kissaten, but my acquaintance like the kissaten and maybe he visits the kissaten almost every time when he eat in Tsukiji Market. There are rarely tourists, and almost all visitors are workers in the Tsukiji Market and they took a rest over reading a newspaper. 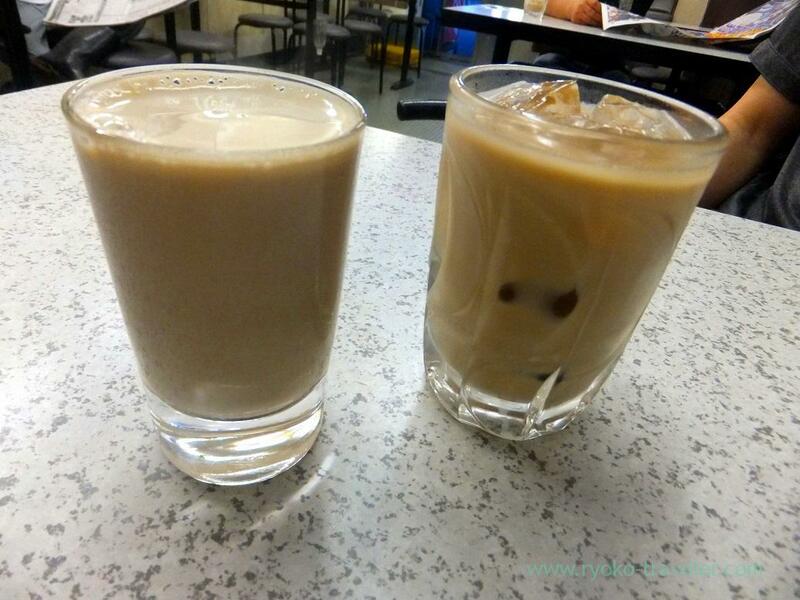 Milk and coffee (ミルクコーヒー 370 yen).The hot one was mine, and cold one was my friend’s.